Give Me Glow, an indie brand we have never featured before, is launching two NEW Quad Goals Palettes on Friday, 1.05! We just LOVE LOVE featuring new brands! 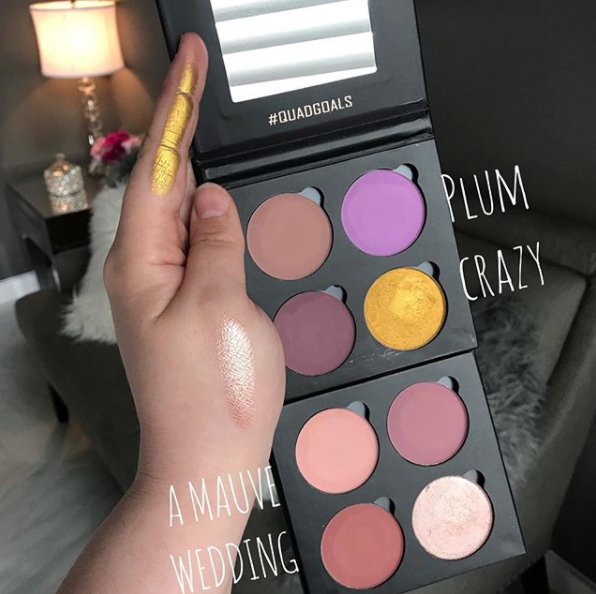 The palettes coming this week are Plum Crazy and Mauve Wedding (we love the names, for real). These will each retail for $25. 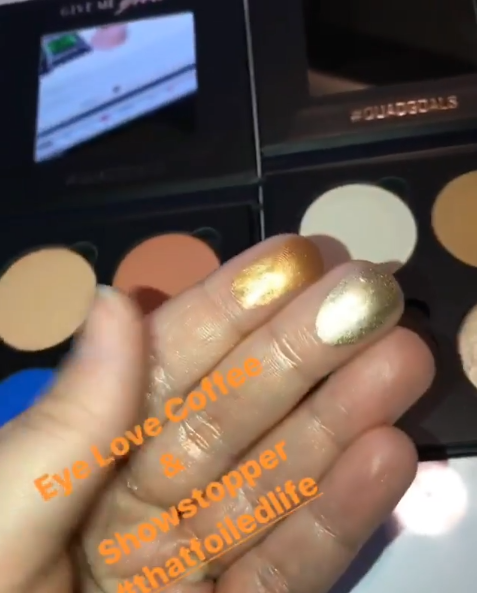 Give Me Glow is debuting these palettes with a new and improved formula that is even more pigmented and blendable than before! Mauve Wedding actually looks like something I might need for my wedding – literally! My wedding shades are gray and blush and hellllooooooo, that is so this palette! The shade in the upper left-hand corner is basically the colors of my bridesmaids dresses and the darker shades would be so perfect to slightly deepen the look without going toooooooo smokey. And that pink champagne foil shade in the bottom right – WOAH! That is my best friend lid shade. This one would also be perfect for everyday use on everyone! Plum Crazy is surely a bit more crazy – but in the best way! That electric gold is unstoppable and that royal plum is so unique. The other two shades are certainly much more neutral but a perfect addition to the color story. And while a $25 palette may not initially seem pricey, you’re only getting 4 shades here, bringing the price of each individual shadow to over $6 a piece. We’ve definitely seen more expensive but also more affordable – these seem to fall right in the middle which, hey, isn’t a bad place to be! Have you tried anything from Give Me Glow before?! Let us know!